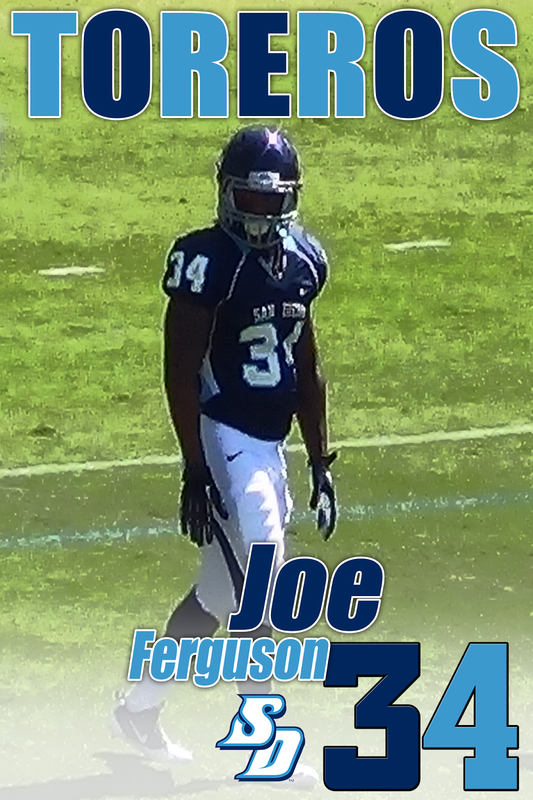 Ferguson joined the Toreros in 2012 after two seasons at American River Junior College. Despite sharing carries in a loaded backfield, he managed to stand out with his ability to make explosive plays whenever he got his hands on the ball. In 2013, Ferguson earned First-Team All-Pioneer Football League honors after rushing for 905 yards (3rd in PFL) while averaging 7.3 yards per carry (1st in PFL). He finished his two seasons at USD with 1,780 all-purpose yards and 14 touchdowns.